Film Plot: A mod London photographer seems to find something very suspicious in the shots he has taken of a mysterious beauty in a desolate park. Grade: C6	Fine. Folded, single-sided. Prior to linen backing the poster was in good condition with minimal edge/handling wear. Primary flaw was diagonal misfolds which are now almost imperceptible. Expert restoration has addressed these flaws and the poster now appears very fine to near mint. 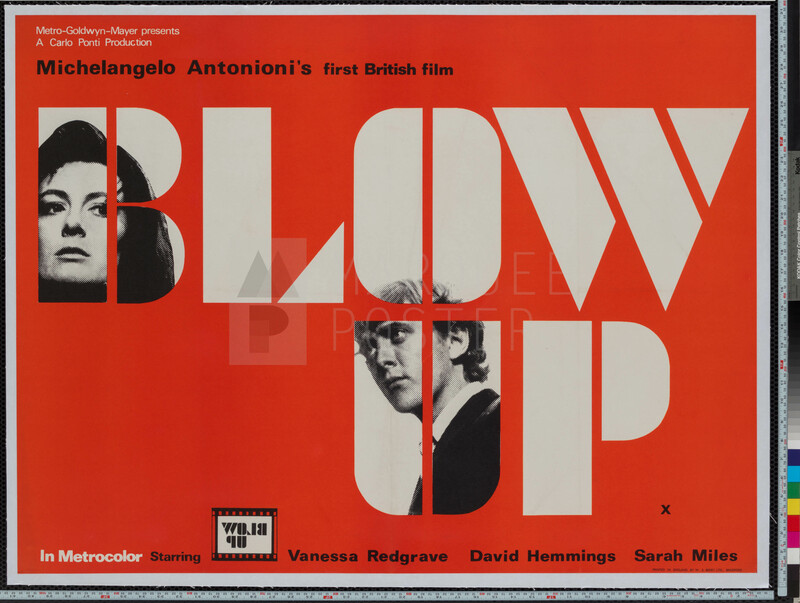 Blow-Up is an amazing, multi-layered work of cinema that is both a product of it’s time (swinging sixties London) and a defining moment of the era — the closest comparison might be Easy Rider which was filmed only a few years later in the United States. 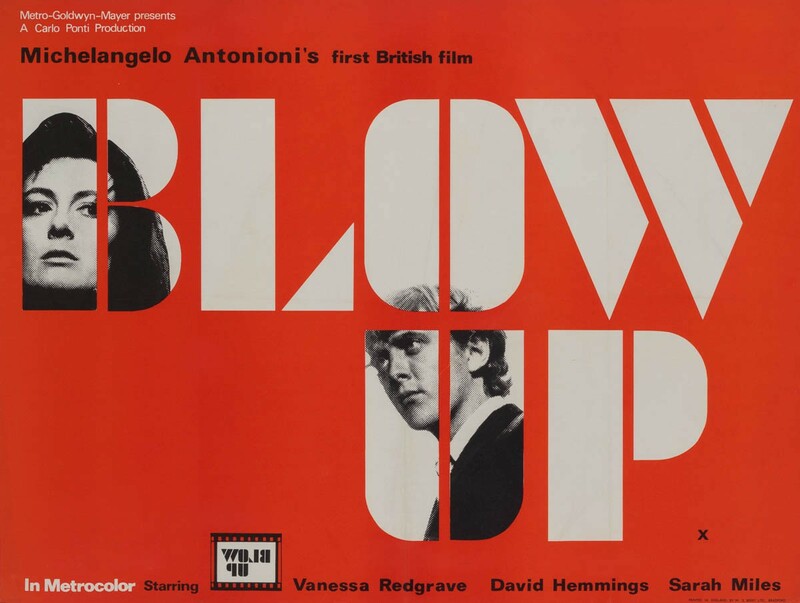 Blow-Up was virtuoso director Michelangelo Antonioni’s first english language film and, despite the critical praise of his early filmography, it was also his only large commercial hit. This film is as influential today as when it was made and remains one of the most collectible titles from the 1960s. This country-of-origin UK advance poster is extremely rare and has only surfaced on several occasions. Stark in it’s simplicity and use of color this poster would be at home in a variety of decors.